Its starts out simply enough, a mad killer or killers are roaming the streets of Fall River and Detectives Bruce Marklin and Jocelyn Beaudette are assigned the case. He’s battle hardened, not prone to making mistakes and methodical. Jocelyn is new to the role but has all the makings of an excellent detective in the years to come. The killers or killers do not make it easy for them. The victims don’t run in the same social circles, there is no obvious link between them apart from the way the are killed, which I have to say is truly delightful and really well written. 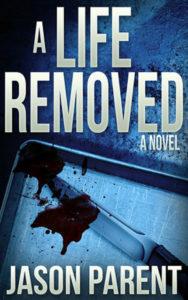 Not for the faint hearted or squeamish though as through the words chosen, Jason allows the reader to get a very clear visual of what happens to the victims. We are also introduced to Aaron early on. He’s not in the same league as the detectives at all. A downtrodden paranoid cop who feels that his life, both professionally and personally, is going nowhere. When he finds himself thrust into the middle of the investigation he has to choose between what is right and what may lead him down the darkest of paths. I have to say that Jason handled the various twists and turns with skill. A couple I worked out but on the whole this was a delightful read that kept me guessing till the end. If you like your crime thrillers with a supernatural bent, don’t mind the odd gruesome detail when it comes to murder and wish to be taken on a bit of a thrill ride, then this book is for you.